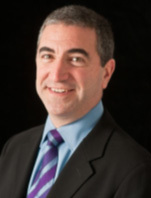 Sal Gilbertie, President, Chief Investment Officer and co-founder of Teucrium, brings deep experience in commodities markets, particularly in the areas of trading and liquidity, providing insights which enable him to design exchange-traded products ("ETPs") for a wide variety of investors. In 1982, Mr. Gilbertie began trading at Cargill's oil arm in New York. He has been involved in the financial markets since that time. Immediately prior to founding Teucrium Trading LLC, Mr. Gilbertie was with Newedge USA, LLC, where he headed the Renewable Fuels & Commodities Derivatives Over- the- Counter ("OTC") desk and was an active over-the-counter derivatives trader and market maker. While there, Mr. Gilbertie developed the liquidity and the standard contract in the ethanol market. Sal, who is 56 years old, graduated from Fairfield University with a Bachelor of Science degree in Business.